That’s not only awesome but totally intimidating. Check out these photos from TorontoJoe of Even Matchup Gaming and TFCFanboy420. 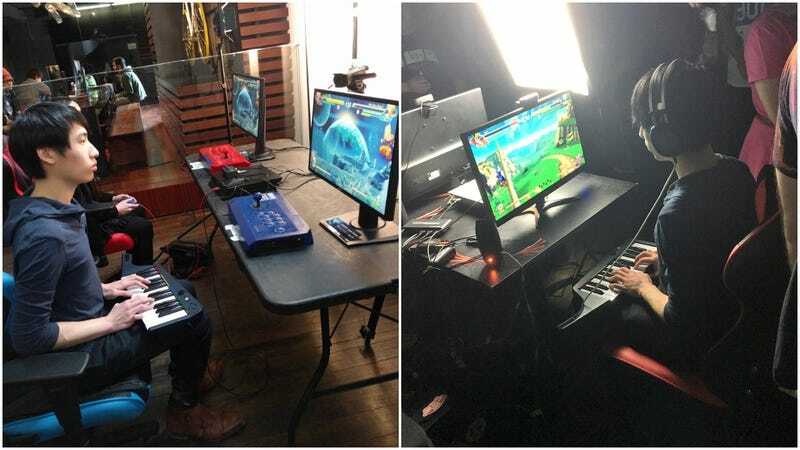 As pointed out by Event Hubs, you can see Greg playing in the clip below, but only brief flashes of how he uses the keyboard controller. Next time, close-ups, please!